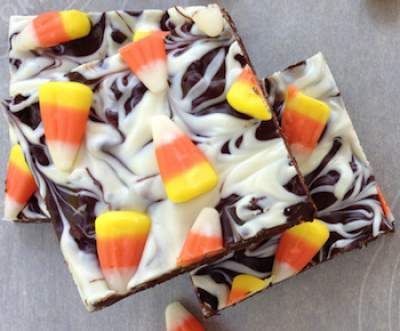 These Halloween recipe ideas can be created by kids with an adults help. Whatever recipe you use for Halloween give it a fun and Halloweeny name and you'll transform a simple dish into a scary dish. 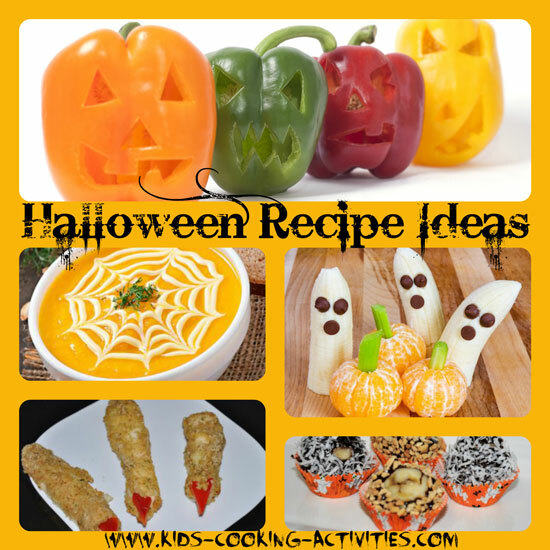 Here are several fun Halloween cooking for kids ideas. Mix ingredients together in bowl. Serve in plastic pumpkin or witch's cauldron. 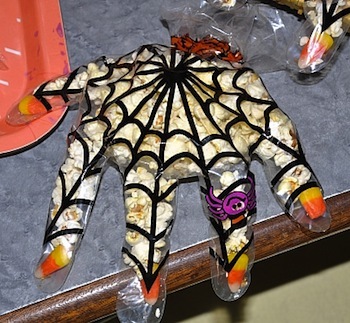 Use the munchies mix Halloween recipe idea above and fill each plastic glove. Then tie tight with a string. Give away as party treats or goody bags. You can also add red M&M's or a candy corn on the end of each finger in the glove for a fingernail. In large bowl stir popcorn and peanuts together and set aside. Have an adult prepare syrup mixture on stove. Combine sugar, corn syrup, salt and butter in saucepan. Stir over low heat and bring to a boil. Continue boiling for 5 minutes without stirring. Take off heat and add vanilla. Pour over popcorn and peanuts. Stir together until well blended. Add in candy corn. Allow to cool slightly in order to handle. With kids help form into balls and place on waxed paper to cool completely. Using fruit kids already love and changing it a little to suit a theme or holiday is a simple way to make food fun. 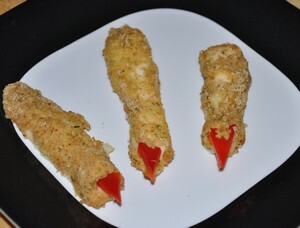 I love this Halloween recipe idea for a snack. 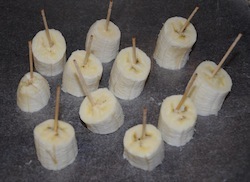 Cut bananas into chunks and insert a toothpick into each one. Place a sheet of wax paper on a cookie sheet or plate. Put bananas onto wax paper and freeze for 20 minutes or until hard. Place toppings into a small cup or bowl. Melt chocolate chips in the microwave on high for 60 seconds. Stirring after 30 seconds until smooth. Add frosting to chips and stir until blended. Take bananas out of freezer and dip each into chocolate mixture and then roll into toppings. Place on wax paper. Freezer again for 1 hour. Serve in Halloween mini cups if you'd like. 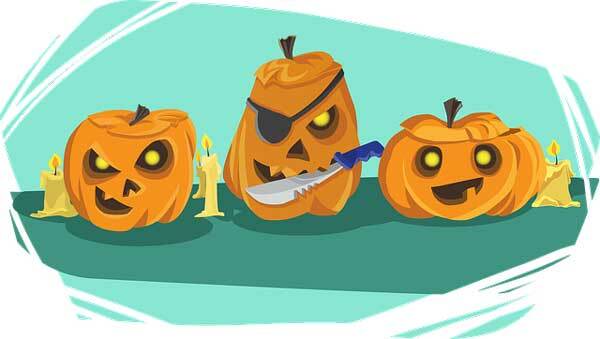 How about adding some fun printable Halloween games? In saucepan, combine sugar, water, corn syrup. Have an adult (or older kid chef) cook mixture over low heat, stirring constantly. Increase heat and bring syrup to boil. 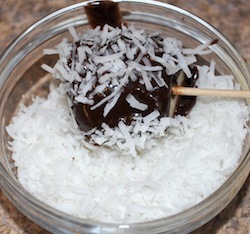 Cook until candy thermometer reads 300 degrees or hard crack stage. Remove from heat, add butter and vanilla. Then add soda mixture, mixture will be foamy. Stir in candy corn. Pour brittle onto buttered pan and spread with buttered knife. Allow to cool. 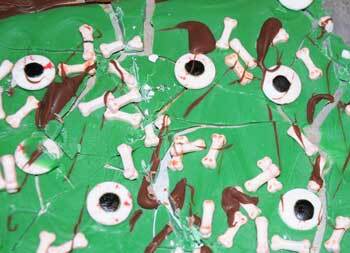 Make Halloween theme bark with adding candy eyes, bones, candy corn or other fun seasonal candies. See how to make chocolate bark here. Place the candy coating into a microwave save bowl. Heat the candy on high for 1 minute. Remove and stir. If the candy is not completely melted and smooth continue heating at 30 second intervals, stirring after each time until melted and smooth. Add enough green paste food coloring to reach the desired color. Dip each cookie into the green frosting until completely coated, letting any excess drip back into the bowl. Place the coated cookies on wax paper. Press half of a Tootsie roll into the top of each cookie to form a nail or chocolate circle. Let the cookies stand for 15 minutes or until the coating has hardened. Preheat oven to 375 degrees. Cut the pepper into 16 triangles and set aside. Place the flour into a plastic zip lock bag. Place the eggs in a shallow bowl and beat lightly with a fork. Place the cornflake crumbs in a shallow bowl..
Place a few strips of chicken into the flour mixture, close and shake to lightly cover. Dip the coated strips in the egg shaking off any excess. Roll in the cornflake mixture covering the strips well and place on the baking sheet. Repeat until all the chicken strips are covered. Place the chicken into the oven and bake for 20 minutes or until the juices run clear. Remove and allow to cool slightly until they are cool enough to handle. Cut a small slit into one end of each of the strips. Insert a pepper triangle; point out, into the strips. Create a cheese fondue. Use Halloween cookie cutters to cut shapes out of bread. Serve with the fondue. 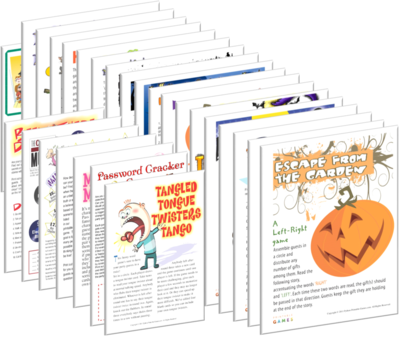 Play some fun printable games after trick or treating or for a Halloween party. Soup makes for a great healthy Halloween dinner maybe because the weather is cold and it is a good way to warm up before going outside. 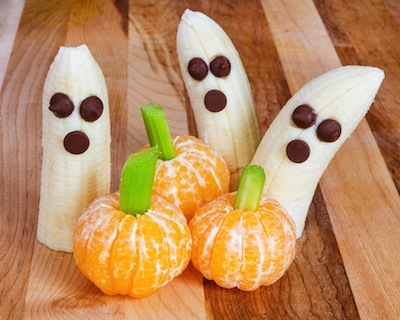 Start your evening out with a healthy Halloween recipe before heading out for trick or treating. Serve your soup in a hollowed out clean pumpkin for an added effect. 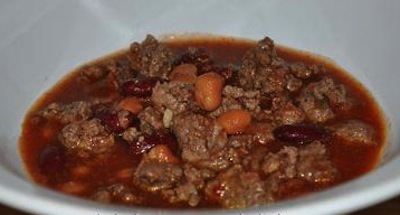 Mix soup ingredients together and cook 15 minutes. Or place in crock pot in the morning and cook on low 6-8 hours. Serve with toppings listed. For Halloween fun serve in a clean out pumpkin shell, a bread bowl, or make corn bread cut out of pumpkin shapes below. In bowl, combine cornmeal, flour, sugar, baking powder, salt, pudding mix and soda. Stir in eggs, milk, and oil. Blend in onion and corn, if desired. Pour into greased 13x9 inch pan. Bake at 400 degrees for 25-30 minutes. For added Halloween recipe ideas and fun, cut out pumpkin shapes with a pumpkin cookie cutter and serve warm. 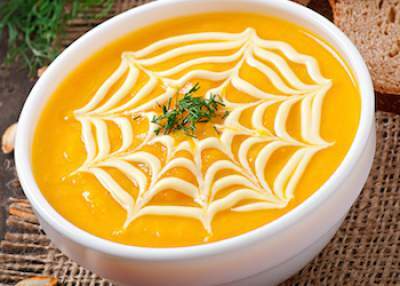 Create a fun pumpkin soup by adding a drizzle of cream or melted cheese.